Description: Hey, all of the Minecraft fans! As a frenetic Minecraft fan, do you believe in yourself that you understand Minecraft game world clearly? Why don’t you check your Minecraft understanding in one of the most interesting Minecraft Quiz games to know the exact result that how many percent you can understand Minecraft. For certainty, all of the questions are about Minecraft world. 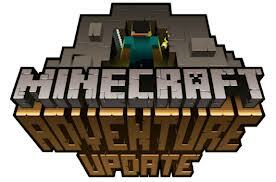 It is sure that this game genre is easy for everyone who remembers each of the Minecraft details accurately. Now, it is time to explore Minecraft Quiz v0.5 and check your Minecraft understanding, guys! This is the best version for the players to review their Minecraft knowledge. The game has 20 questions in total. Remember to think thoroughly before selecting the correct answers. If they answer each question exactly, they are allowed to reach the next one. On the other hand, they are forced to retry the last question if having any wrong answer. Try to complete all of the 20 questions to gain the highest point, guys! Here we go! Instructions: The main key to select the answer is the mouse.